A Bay Area 40-something, married 20-something years to the love of my life, with two sons (Teen and Tween); Jesus-follower, artistic-type, passionate about time with my guys and with friends, Bible study, stories of most types, cooking, and other creative endeavors. Every creature was stirring, including a mouse! Seriously, it’s been a week… Guy has been leading house building trips to Mexico for at least 18 years and participating in them regularly since he was a high school student. But this will be the first time our entire family will participate together. Now that Q14 is in high school, he is finally eligible. And since the college C20 attends has the same spring break, he and his girlfriend can go. Which means Mama has to go (gets to go), too! Getting us all ready has been a chore. Never have I done so much laundry, and we all had to deal with complete chaos while duffel bags, cots, tents, sun showers, etc, covered every inch. Wednesday evening, as we shoved all the things into bags, Guy might have been tempted to pull his remaining hairs out as one or the other of us had a question/complaint/meltdown. 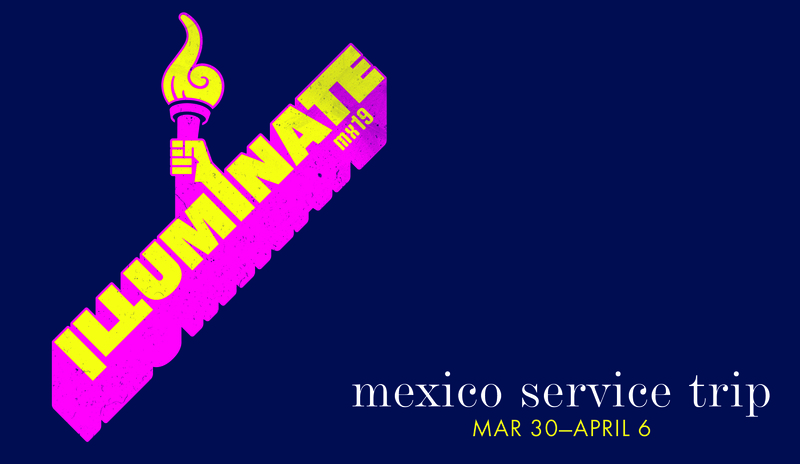 The theme this year is ILLUMINATION, and we’re praying God will light our way and shine His light through us. Stretching boundaries is a good thing, and I expect God will show me new things about myself and Himself, my family, new friends, and this great, big, beautiful world He’s given us. During the week, I will be on the Media Team, taking pictures and posting on the trip blog. I will not be posting here, but I’d love for you to follow along. And if you’re a praying type, please pray for us! What puts (or keeps) a spring in your step? What helps you experience flow? What do you do that prompts bubbles of joy to float to the surface of your life? I knew one word wouldn’t cut it this year, so I’m playing with words again. I started January with Create Happiness. That didn’t make January a joyride, but it helped me think through some issues and put some new, at least revised, guidelines in place. February’s renewed focus on Connecting once again resulted in loneliness (Connect was my 2018 word, and it stunk). For now, I’m sticking with tried-and-true mutual friendships. March blew in with a soggy, wet mess as a ridiculous amount of rain drenched Northern California. The rest of the country also had its share of unusual weather (thanks, global warming! ), but NorCal is my reality. Through the darkness, I cast about for the right word, something that would get me out of my own funk, something playful and inspirational, and pounced on: spring. Even though spring won’t officially begin until March 20 this year, as soon as I said it aloud, I knew I’d found the right word. Spring is coming, so it’s hopeful. Also, Lent (German for spring) began on March 6, the season in the Church calendar when we observe the service and sacrifice of Jesus, so it fits that bill as well. Playing with spring makes me laugh. It’s unlike any word or discipline I’ve chosen before, and therefore feels novel. I want to flow like a spring. Not like a dry summer creek bed or a muddy winter torrent, but light and easy, conscious of healthy boundaries as I bring life to dry places and parched creatures. I flow best when I’m reading good books, both fiction and non, and when I’m writing regularly. I flow best when I take care of myself: sufficient rest, hydration, and time alone and with God to recharge. 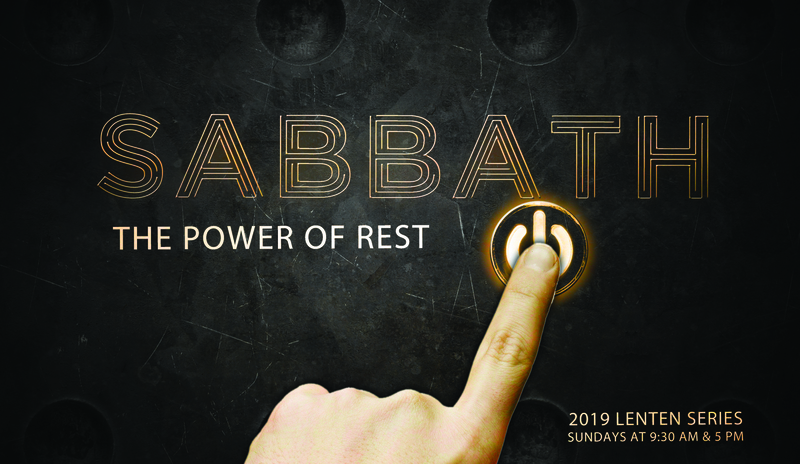 Our church has a Lenten focus on Sabbath, prompting renewed attention to what a life-giving rest might look like in my life and our home. In these uncertain times, on days when I’m more inclined to stomp than spring, I can drink deep from God’s spring of fresh, clean, living water, then lie back and rest as He floats me through the wilderness on His own currents. Once a month I teach the preschool Sunday school class. Yesterday’s lesson was about being fearfully and wonderfully made in God’s image, which means we are smart, and helpful, and creative (among other things). We focused on the “creative” part and gave the kids lots of time to paint with watercolors, or color, or make paper airplanes. Some kids chose to create with play dough, while others created tree houses from blocks or created scenarios to act out with toy cars. We let the kids have a lot of free play while we noticed aloud their various creative efforts and how great it is that God made us all creative and unique. I came home floating on cute kids’ creativity and decided I needed to express some creativity of my own. One of my favorite forms of creativity? Making delicious food for the people I love. 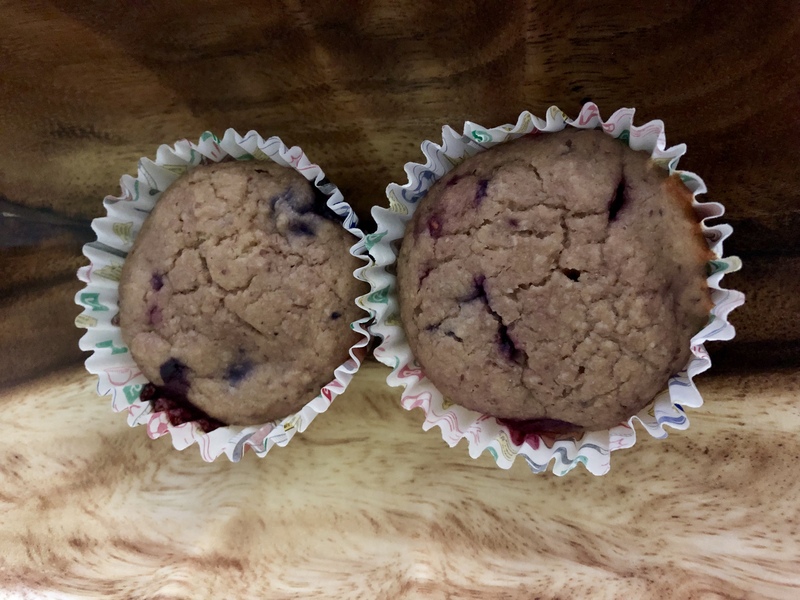 Just the evening previous, I had come across a recipe for berry muffins that I knew I could vegan-ize, and I had some over-ripe bananas practically begging to become banana bread. Muffins are a family fav because they make a quick breakfast, an easy lunch bag option, or a tasty after school snack. I’d wrongly anticipated this batch of 18 muffins would last most of the week, but today was a no-school day and the kids plowed through them with only a few leftover. Good thing they haven’t yet discovered the banana bread! Preheat over to 350. Grease or line with paper 18 muffins cups. Combine dry ingredients in a large bowl. Combine flax egg, milk, agave, and applesauce in a small bowl. Add wet ingredients to dry and stir until just combined. Gently stir in berries. Fill muffin cups 2/3 full with batter. If desired, lightly sprinkle cinnamon sugar on each muffin before baking (the recipe itself isn’t very sweet). Bake for 20-25 minutes until golden brown. Cool on wire rack. Following my last blog post, Talking with Teens, I asked Guy if he knew what scares Q14. Clowns, we knew. Spiders? Maybe he’d outgrown that one. Ouch! Talk about a stab to the parental heart! My fear is similar, but different. When my kids were small, we had a neighbor named Frank. His picture ought to appear under “curmudgeon” in the dictionary. He had lived alone for many years after his partner had passed. He had a niece, but they weren’t close. He did nothing to ingratiate himself with neighbors. The opposite, in fact, as he was always cranky and not afraid to share. One day Frank shuffled up to our doorstep with a heavy white lunch sack. He received senior lunches delivered to his home everyday and, although he was lactose intolerant, the service wouldn’t modify his order. They brought him a school-sized carton of milk five days a week. Frank asked if my young children could drink the milk. He didn’t want it to go to waste. I hate food waste, so I accepted his generosity. Most days after school, I’d send one of my kids running to his door to pick up milk. Some months into this new routine, Frank showed up looking much worse than usual. He’d had surgery on his eyelids and couldn’t see to apply his ointment. Would I be willing? I’m not a nurse. I’m not even currently CPR trained. The whole thing skeeved me out, to be honest, but Frank was alone and in need. I felt sorry for him. Twice a day for a week, I squeezed ointment from the little sterile tube onto his eyelids, then once a day for another week. When the process was complete, he showed up at our door again, this time bearing wine. We worked toward an awkward friendship of sorts. We invited Frank to Easter dinner at the neighborhood pool. Guy barbecued while our kids swam. Frank brought us a bottle of wine now and again when he took the free senior bus to Trader Joe’s. He asked for our reviews, and asked about restaurants we’d visited or other San Francisco sites we’d seen. He clearly missed being out on the town with his partner. Eventually, we moved across town, but we still stopped by once a week to see Frank and pick up the milk. By then, we’d realized Frank’s refrigerator wasn’t working well, so the kids didn’t drink it. We just used it as an excuse to check in on Frank. A hoarder, Frank never let us past his doorstep. The neighbor who shared his wall called one day; she’d heard a loud crash in Frank’s condo and come running. When he didn’t open the door, she called 911. Frank had taken a significant fall. Not long after, we got a message on our answering machine. Frank said his niece was moving him to a senior care home. We had been on vacation when he left the message and we had no way to get in touch. We never heard from Frank again. The cast of the musical RENT, facing the AIDS crisis of the early 90’s, sings: Will I lose my dignity? Will someone care? I hear the melody in my head and I think of Frank. I don’t want to outlive my family, be estranged from others, and become a curmudgeon. I’m sure that sounds melodramatic, but then again, I think it might be more common than we recognize. Beyond something tragic happening to my family, being alone and unloved is my biggest personal fear.